We’ve shown you a lot of interesting watches – New Ways to Show the Time and Unusual, Interesting and Unique Watches. 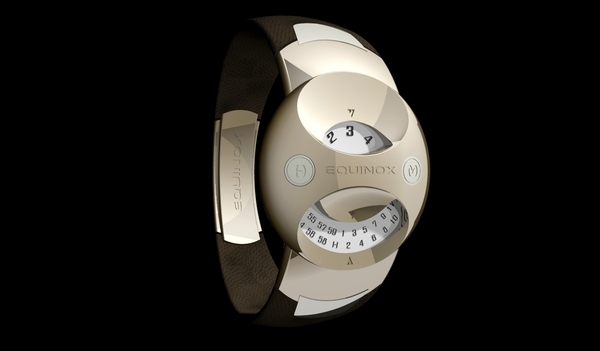 This time we want to show you another creative concept called EQUINOX created by Nuno Teixeira from Portugal. Besides its unusual and creative design it have interesting mechanism of work. The EQUINOX represents the exact time when the Sun is positioned directly over the Earth’s equator. The two low relief semi spherical displays represents the Sun (hours) and the earth (minutes). Isn’t it great idea? And also you can check other luxury and expensive watches: 50 Best Black Watches. Very attractive and cool looking watch. I am sure that this features are not visible in any other watch that is right now available in the market. Thanks for posting. this watch looks hard to clean.